London's first Lumiere Festival opened last night. A very bright and cheerful welcome to gloomy January. That's very beautiful. These light festivals seem to be popping up everywhere these days. Beautiful! I'm going tomorrow night! Oh wow, this is beautiful. I wish I was there to take some photos. How pretty. It looks like a kind of fairytale land. We could use such a festival here. It looks fabulous, Mo! All things bright & beautiful - looking forward to more photos, please!!! 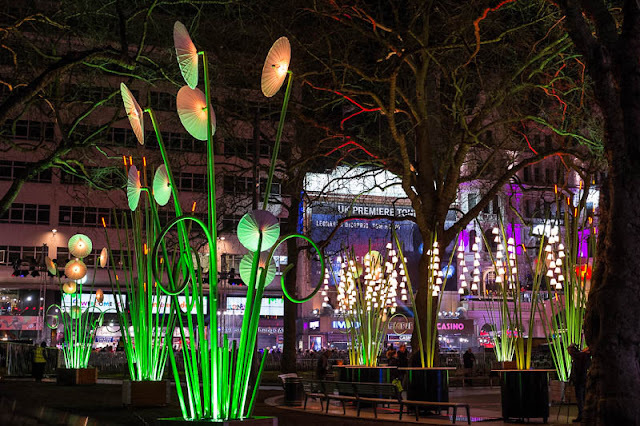 January would be a good month for a lighting festival in a dark and gloomy place like London. I have more often seen them in the summer.